Mr. Perrotta concentrates his practice in personal injury, real estate, municipal law,corporate law, and civil and criminal litigation. 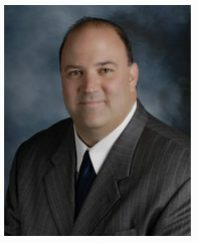 Mr. Perrotta received a bachelor of arts degree from Westminster College in 1994 and a juris doctor degree from Capital University School of Law in Columbus, Ohio. In 1997, Mr. Perrotta was admitted to practice in Pennsylvania. From 1998 through 2000, he served as Assistant District Attorney of Lawrence County. As Assistant District Attorney, he prosecuted a variety of cases, including arson, narcotics and DUI. Mr. Perrotta researched and assisted in the preparation of periodicals focusing on gangs and gang violence. Upon being promoted to Executive Assistant District Attorney, Mr. Perrotta prosecuted a multitude of cases in all facets of the criminal law arena. Most notably, he worked with state and federal investigators to successfully prosecute numerous arson, narcotic and asset forfeiture cases. As an Assistant District Attorney, Mr. Perrotta, with the assistance of local, state and federal agencies, obtained multiple convictions in the fire bombing of a local government agency. The firm practices in a multi county jurisdiction focusing on personal injury and civil litigation. In addition to litigation, Mr. Perrotta is a legal adviser and legal advocate for many local municipal governments and private businesses. Mr. Perrotta is a member of the Pennsylvania Bar Association/Young Lawyer Division where he previously acted as Zone 10 Chair. Mr. Perrotta is a member of the Lawrence County Bar Association and the Pennsylvania Bar Association. Mr. Perrotta is admitted to practice law before the United States District Court of Western Pennsylvania, and has petitioned and argued before the Commonwealth Court of Pennsylvania, Superior Court of Pennsylvania and Supreme Court of Pennsylvania. Mr. Perrotta has chaired and counseled many philanthropic organizations such as the Westminster College Towering Titans, Mahoningtown Memorial Day Veterans Council, St. Vincent DePaul Parish Council and Mahoningtown Crime Watch, Inc.